Caribbean Admiral is another point and click action adventure game from Vogd. 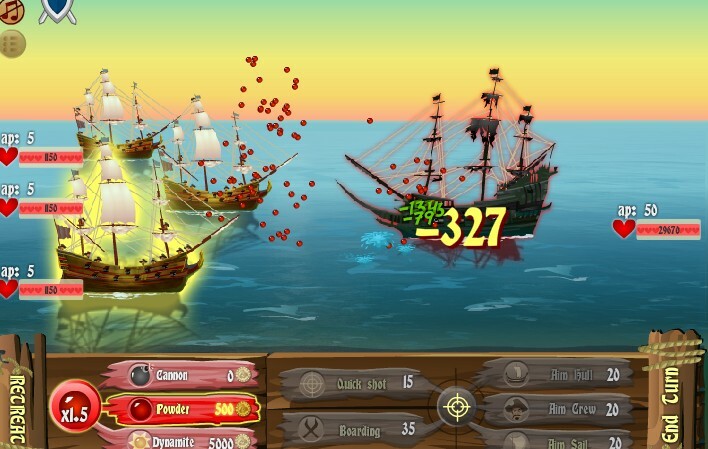 Your goal in this game is to rebuild a once powerful fleet and defeat a ghost ship called The Flying Dutchman. You just have to do it because that mysterious ship took your sister's life. There 12 different ships in this game with lots of upgrades. Start from a small and humble ship and upgrade to bigger powerful ones as you trade and fight off pirates along the way. Free and conquer 10 towns to obtain the location of the final boss. Defeat him using your dynamite shots. Yes, that is a protip for you. See the Caribbean Admiral walkthrough guide below to learn how to beat the final boss. The world is changing very fast. Big will not beat small anymore. It will be the fast beating the slow. See the link below for more info.